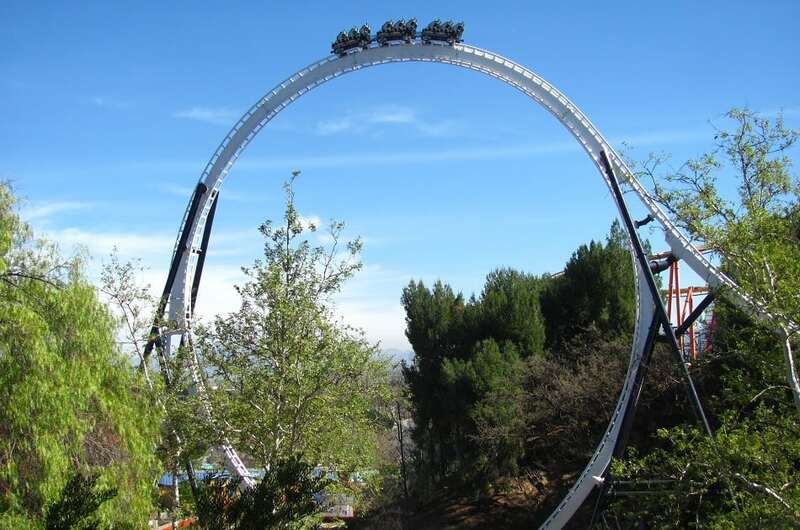 Just looking at the massive 160-foot vertical loop can make your heart pound. Then try the 70 mph speeds with not one but three separate launches. So you go from 0 to 70 mph like it was nothing. The second time you launch at this rapid speed it’ll be backwards: that’s right, you’ll come to a slamming stop inside the tunnel, and you’ll be thrust back out, in reverse.